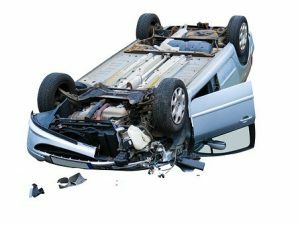 A serious accident can happen at any time, and they often occur when we least expect them. Even a small moment of taking your eyes off the road can have devastating consequences. It is important for all drivers to remember that they have a duty of care to all the other drivers around them as negligent driving can have severe consequences. The Worcester Police Department received a report of a two-vehicle accident. The crash occurred around 2 in the afternoon on May 2 on the 100 block of Gold Star Boulevard. The police department and other emergency responders arrived on the scene shortly after receiving notice of the accident. Upon arrival, first responders administered care and secured the scene for investigation into the accident. While first aid was administered, the Injuries were reported to be minor and non-life-threatening. The regular flow of traffic resumed shortly afterwards. Vehicle accidents can have severe consequences that are detrimental and far-reaching. Victim’s lives can be impacted for years to come, and they deserve to receive assistance and compensation to help them return to their lives. It is crucial for all drivers to take personal responsibility and drive safely. Negligent driving can result in injuries and have dire consequences. We at the Law Offices of Jeffrey S. Glassman are aware of the negative impacts of car accidents as we see these impacts everyday through the cases we handle. We are concerned members of our community, and we want all drivers to drive cautiously and take their responsibilities seriously. Accidents can happen to even cautious drivers, and we are committed to providing victims with the help they need to recover.